This book is based on the evidence from research undertaken by the authors over a number of years. The significance of these findings to the treatment and prevention of low back pain are now widely acknowledged, not only among researchers but also, and perhaps more importantly, among practitioners concerned with the management and prevention of back pain. In this new edition, they have taken the opportunity to extend the scope of the book to accommodate the most recent evidence, which has emerged since the first edition was published in 1999. This is an important book in that it not only presents the evidence but also gives practical guidance on how the findings may be applied in everyday practice. 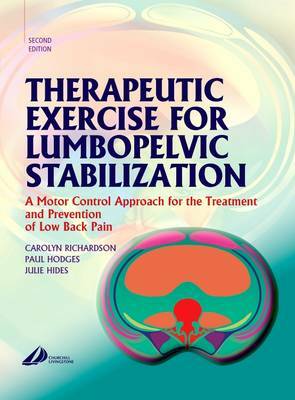 This new edition will continue to provide an indispensable practical reference source for all those working in the field of musculoskeletal pain and dysfunction.